It doesn’t take much to take an average homeowner and turn him or her into a landlord. Whether you own a second property that isn’t used often or if you are interested in investing in real estate for income purposes, it’s not difficult to rent or lease your Bonita Springs property. There are many reasons why homeowners choose to rent out a home. Some get married and move into bigger properties, others receive inheritances that allow them to invest in real estate and others simply don’t use their properties as often as they would like while continuing to pay the mortgage. Before you rent or lease out your property to visitors, tourists or other tenants in the Bonita Springs area check out our tips on how to property rent or lease your Bonita Springs property. How do you feel about strangers moving into your property? Can you afford maintenance & repairs on the property? Do you have the time to deal with tenant issues? Can you afford to suffer through vacancies at your property? Being a landlord is a commitment and while some tenants are easy to deal with and you’ll barely hear from them, others are complicated and a nightmare to deal with. Even if you can’t see yourself performing these roles, it doesn’t mean that you can’t pursue your rental plans. You can still rent or lease out your Bonita Springs property with the assistance of a professional property management company. A competitive rent rate is based on numerous factors such as comparable rents in the area, amenities offered to the tenants, your mortgage rate and more. Before you set the rent on your property check out newspaper ads, craigslist listings and contact property management companies to find out what the average price range is for units similar to yours in your area. Tenant screening is a landlord’s most important task. You may think that following your instinct is your best bet in finding the perfect tenant, but it doesn’t always work. When you screen tenants for your property make sure to run a full credit check and ask for referrals. Many people have credit issues these days and there’s nothing worse than housing a tenant that can’t pay the rent. Your rental application should ask for an applicant’s full identity, rental history and credit information. Make sure to check with an applicant’s last landlord as well to find out about any issues the applicant may have failed to disclose. A security deposit is a sum of money paid by a tenant to ensure they fulfill the terms of their lease. This money should be held in a separate bank account and returned to the tenant when the tenant moves out. The only reason for withholding the security deposit would be due to damages to the unit made by the tenant that need to be repaired. The amount you charge is up to you, but it’s a good idea to check with the state for any restrictions and limitations. Many landlords typically charge the equivalent of one month’s rent for a security deposit. 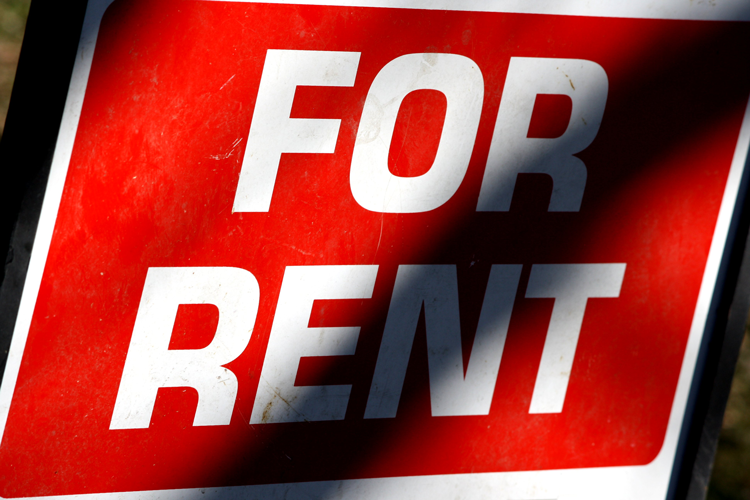 Once you have found the perfect tenant, it’s time to sign the rental or lease agreement. This is a legal and binding document between a tenant and a landlord that can be either month-to-month or a one-year lease. Having a strong and loophole-free agreement is the most important aspect of maintaining a good and long-term relationship with your tenants. A lease agreement is comprised of the address of the rental property, the lease term length, rent amount, security deposit amount, late fee penalties, move-in condition report, limitations in regards to pets and smoking and any other relevant information. As a landlord it is your responsibility to ensure rent is paid on time, tenant needs are met and any concerns addressed in a timely manner, late fees are charged when necessary and that everything runs smoothly. Things will go wrong, but you will deal with any problems and issues properly as they come up. Renting your Bonita Springs home can be a very rewarding experience both financially and otherwise. In order to reap the benefits of renting out a property make sure to do it properly. If you have any questions about investing in Bonita Springs real estate, renting out your property or other important real estate questions don’t hesitate to connect with the team at DNA Florida Real Estate. The team would be more than happy to answer your questions and assist you with all of your real estate needs.